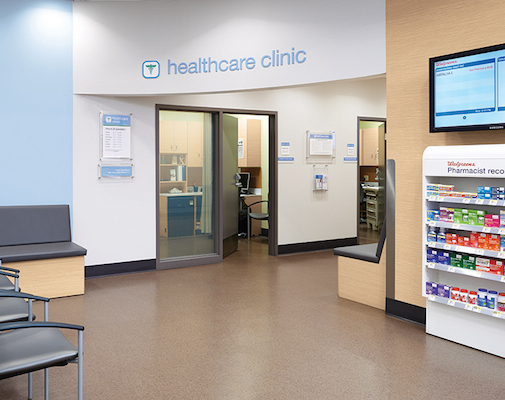 DEERFIELD, Ill. — Next week, Walgreens Healthcare Clinics will begin offering testing services for sexually transmitted infections (STIs) in select markets. Walgreens said Tuesday that the tests for STIs — including HIV, hepatitis B and C, chlamydia, gonorrhea and other conditions — are slated become available on April 25 at Healthcare Clinics in Cincinnati, Cleveland and Columbus, Ohio; Dallas and Houston, Texas; Denver; Las Vegas; Kansas City, Mo. ; Knoxville, Memphis and Nashville, Tenn.; Philadelphia; Phoenix and Tucson, Ariz.; Orlando, Fla.; Louisville, Ky.; Wichita, Kan.; and Washington, D.C.
Nurse practitioners and physician assistants will first hold a consultation with the patient and, if necessary, conduct STI testing. The test method depends on the condition being assessed, and Healthcare Clinic providers can offer treatment or a referral to a specialist, Walgreens said. Along with the STI testing, Walgreens is stepping up its support of HIV-impacted communities with prevention and early detection services. On April 25, providers at Healthcare Clinics in the Houston area can begin prescribing Pre-Exposure Prophylaxis (PrEP), a medication protocol for people who don’t have HIV to help protect against HIV infection. When taken daily as directed, PrEP can reduce the risk of HIV infection by more than 90%, according to Walgreens. After an initial PrEP consultation with a patient, Healthcare Clinic providers can perform tests for HIV and other STIs, if needed. Upon review of test results, providers will conduct a follow-up visit and may prescribe PrEP. Walgreens pharmacy staff and store managers chainwide also are slated to complete HIV continuing education training. The curriculum includes a Walgreens-developed HIV stigma course and a HIV prevention course devised by Walgreens in collaboration with the National Alliance of HIV Education and Workforce Development. The training also includes tools for improving adherence to PrEP. In tandem with the “incredible” advances in HIV testing, prevention and treatment over the last decade, Walgreens has expanded access to testing and prevention services for the HIV/AIDS community through its clinics and pharmacies, noted Glen Pietrandoni, senior director of virology disease state. “With this training, our pharmacy staff will be even more equipped to offer one-on-one medication counseling and other support services that provide our patients living with HIV/AIDS and their families, as well as those at risk for HIV, with compassionate, confidential care,” Pietrandoni commented. Walgreens said it also collaborates with health departments and local AIDS service organizations to help provide free HIV testing, extend the reach of HIV information and testing in nontraditional settings, and support local outreach efforts.